In 2015, the Mexican government prohibited commercial fishing in what is also known as Sea of Cortez. On March 21, the government announced that it will place buoys to set boundaries around the reserve, where it is believed fewer than 10 vaquitas remain. While sharks have been determined to be the only natural predators of vaquitas, humans have proven otherwise. Measuring less than five feet long, hundreds of vaquitas have met their deaths drowning after becoming entangled in illegal fishermen’s nets. The illicit practice of illegal fishing for totoaba, an endangered fish, is expediting the extinction of the vaquita. 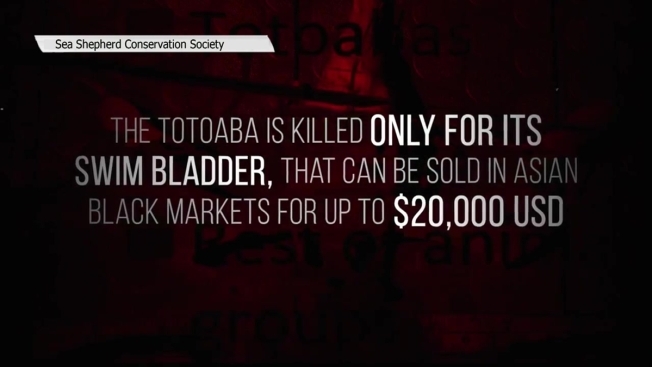 Totoaba fish measure up to seven feet and catching them can turn into a lucrative business as their bladder is sold for thousands of dollars and smuggled to China and Hong Kong, as it is believed to have medicinal properties. Poachers are pushing two species toward extinction, leaving local fishermen without their life-sustaining resource. In an effort to stop black market poaching, the Mexican government outlawed all gillnets in the vaquita refuge. In return, it promised compensation for fishermen being put out of work. "There’s no money and people are looking for ways to survive," fisherman Jesus Montezuma said. "Fishermen are opting for fishing the totoaba, while there’s no compensation; people are risking everything because they have to put food on the table." Montezuma said it has been three months since he last received compensation. Cosme Gastellu has lived in San Felipe, a small town on the Sea of Cortez, for almost 35 years. He, like many locals, believes the vaquita is just a myth. "One can’t go fishing, [the government] doesn’t let us go out and work," Montezuma said. "In fact, there are people that go fishing in the middle of the night just to be able to support their families." Sea Shepherd, the organization Montezuma was referring to, is an international non-profit, marine wildlife conservation organization that patrols and protects the vaquita refuge. Sea Shepherd focuses on the retrieval of gillnets located inside the vaquita refuge. In the middle of the night, while illegal fishermen and poachers enter the refuge to leave their nets, the location is recorded by Sea Shepherd’s crewmembers using radar. At sunrise, the gillnets are extracted and destroyed. "We have retrieved gillnets that have up to 62 totoabas, in just one net. Just a few days ago we had a net with two totoabas," Geoffroy said. The commission noted that it is most likely that the number of surviving vaquitas is around 10. The future of the vaquita is uncertain as local fishermen are back fishing inside the vaquita refuge in hopes the Mexican government presents a comprehensive solution that allows them to fish legally while protecting the vaquita.